Let 2012 begin! It's looking like a very busy year for this Lifestylist® - I'm already working on trips to Michigan, New York, Las Vegas and Florida. All of these are to work with clients, and I'm always very frugal as to where I stay when I'm on the road. The first destination for me when I'm trying to get my travel reservations in order is Travelocity. This has been such a great time saver for me, and I've discovered really cool hotels I never would have known (or Gnome) about without their help. 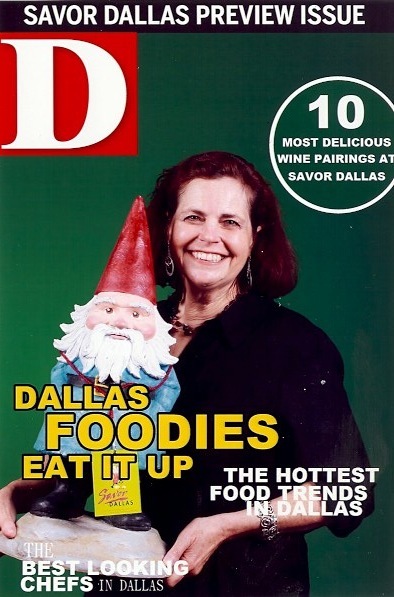 I was fortunate enough to spend some quality time with that cute little guy sporting the pointy red at the past few years at Savor Dallas, and he shared some great tips with me. One of the best ways to save is to book everything together on their site. Not only can it save you money, it's easier to keep up with to have your reservations all in one place. Thanks to their help, I discovered what I consider the best travel deal I've ever found. I needed a last minute room in the Tampa Bay area so I looked on Travelocity to see what I could find, and there it was - The Postcard Inn. Right on the beach, cool and funky, and amazing restaurant, Snack Shack and bar right on site, and under $75.00 a night! I liked it so much my daughter and grandkids joined me there to celebrate my birthday. The next time you are thinking about heading out of town and experience something different, try Travelocity and trust their suggestions. Hopefully you'll be able to find your own Postcard Inn to enjoy.